Uncle George Daniel, the eldest, was an ordinary sort without colour, who had only one son Glen who left no issue other than a daughter, of whom there is less known. I rarely saw anything of Uncle or Aunt and they passed on in due course without creating a ripple, a similar fate for cousin Glen. 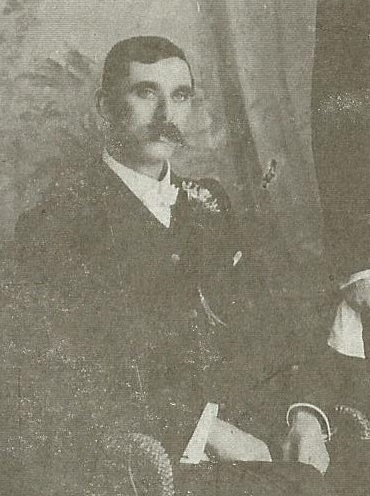 George William Daniel at Ernest’s Wedding 1898. From research we have discovered our George is George William Daniel and was a warehouseman then salesman. He was born in England in 1870 to Clara and her first husband. When Clara married Thomas Daniel, George took the surname of his step father. 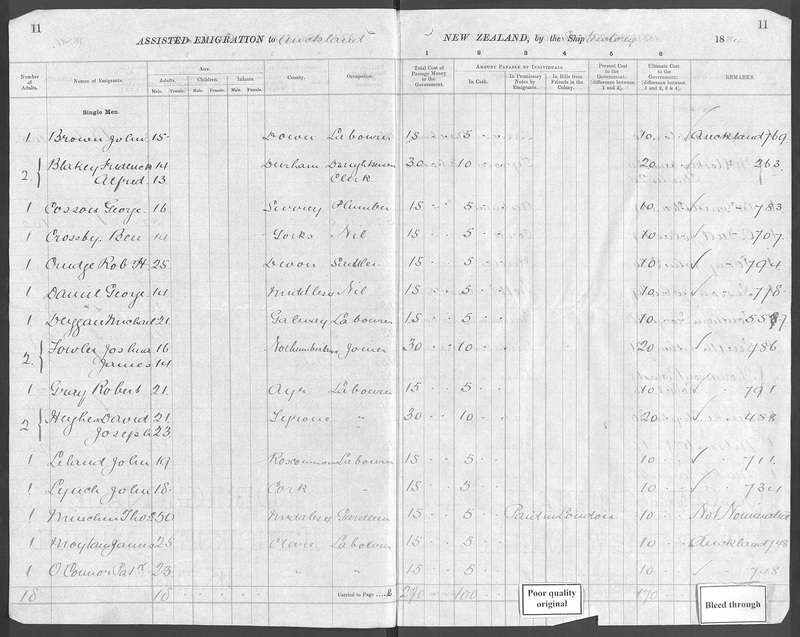 As discussed earlier, in 1884 the young family emigrate to New Zealand when George was about 14 years old. He married Helen Christina Mackay in 1903 (Certificate number 1903/5173) who also went by the name Nellie (refer electoral roll records 1911). They were married on 11 December 1903 in the house of William Mackay (her fathers house). The Certificate states that George was a Salesman and lived in Devonport and that Helen was a Dress Maker and lived in Onehunga. The first child is recorded in the BMD records, we have George William Daniel and Nellie Christina Daniel having a still-born child in 1914 (Certificate number 1914/15025). The second child was – George Glen Daniel in 1915 (Certificate number 1915/12353). It might appear that he went by his second name Glen as not to get mixed up with his father, hence Barney remembering his name as Glen. George William Daniel passes away on 25 June 1946 aged 73 (Certificate number 1946/20591), and is ashes scattered at the Waikumete Cemetery. At the time of his death his address is recorded at 4 Shoal Bay Road, Devonport. (I believe they did not have his age correct he would have been 76 according to the English birth and census information we now have. Helen Christina Daniel dies some 29 years later in 1975 (Certificate Number 1975/33770) aged 98 (DOB stated as 16/6/1877) – cemetery records state location as “unknown” but on the North Shore of Auckland. 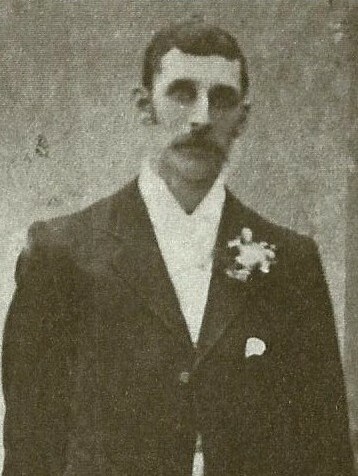 George Daniel at Elsie’s Wedding 1908. From the Archway records we have a George Glen Daniel mentioned a number of times – his probate and will appear in the Archway records dated 1971. There is also a Divorce of a George Glen and Marjorie in 1940 (we have confirmation from the Electoral rolls before that year that George Glen and his first wife Marjorie lived with his parents in Devonport). We have not been able to track down and information on this first marriage. Some time between 1940 and 1945 George Glen marries Yolanda Arley UNKNOWN (Certificate Unknown). Archway also has George Glen Daniel and Yolande Arley Daniel (DOB 01/06/1919) mentioned in a land sale in 1948. This is confirm in later electoral rolls with both George Glen and Yolande being married. George Glen Daniel passes away on 6 September 1971 aged 56 (Certificate number 1971/36884). From his will and probate we see he was a Commercial Traveller, and was based in Auckland. No further information has been uncovered on George Daniel and his family, though we are endeavouring to track down Glen’s daughter.